For those searching for LEGOLAND Windsor Tip & Tricks then look out for the Digipass that offers theme park guest another ride photography option. This offers great value for customers that want to record their photographic memories as it offers unlimited digital downloads during your visit. Follow our Digipass guide below packed with top tips to help you make the most of this ride photography option. Top Tip; book online at LEGOLAND Windsor – save more than £15pp off standard price tickets plus bypass the queues at the ticket booths! Digipass 1 day; this one day Digipass offers you a 1 day unlimited digital download from the park via a wristband. This is ideal for those planning to visit the park only once during the season but would like a few photographic memories of their day. Digipass 2 day upgrade; provides you with the option of upgrading your wristband to include a second consecutive day of unlimited digital upgrades at the park. This is ideal for those planning a short break or taking advantage of a 2 day discounted ticket offer. Digipass Merlin Pass; provides you with unlimited digital download at all 4 Merlin Theme Parks, (Thorpe Park, Chessington World of Adventures, Alton Towers & LEGOLAND Windsor), throughout the season and is available to Merlin passholders. Ideal for those planning to visit parks on a semi-regular basis. You can find more top tips & hints in our LEGOLAND Windsor Guide packed with money saving ideas to help you get the most from your visit. 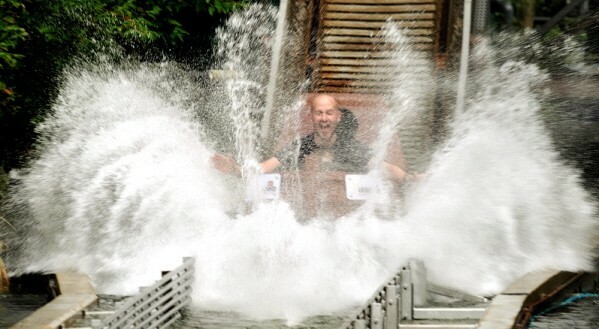 1.The Digipass covers ride photos from some of the most popular rides & attractions at the park such as Pirate Falls, River Splash & The Dragon. 2. For those opting for a 1 or 2 day Digipass, you will be presented with wristband that you present to the staff at the ride photo booth. Your photo will then be added to your digital download collection. 3. If you are looking to purchase a Digipass that is valid throughout the season you will be provided with a photo pass, similar to your annual pass complete with a personal photo, that you present to the staff at the photo booth Again your ride photo will be added to your digital download collection. 4. Whilst the Driving Licences are not included within a Digipass, you can secure a 50% discount off this product, (as well as any selected keyrings, magnets, photos). You can find more top tips below or check out our LEGOLAND Windsor Deals that includes information on 2 for 1 vouchers, free ticket offers & discounted short break options. 5. Whilst your Digipass will only provide you with digital downloads of your ride experience, (you cannot request downloads if are not physically present in the photo), you could swap around your ride partner each time to ensure everyone in your party is covered within the one Digpass! 6. Merlin Passholders may prefer to opt for the Digipass that covers all 4 theme parks throughout the season. If you tend to make ride photography purchases throughout the year & plan to visit more than one park, this could be the pass for you. 7. If you prefer, there are still options to purchase 2 photos/magnets/keyrings for a discounted price of around £15 without needing to invest in a Digipass. 8. Unfortunately LEGOLAND Windsor no longer offers Photo Passes or Ride USB’s at the park. Find more top tips in our Guide to LEGOLAND Windsor packed with ideas to help you beat the queues and make the most of your day. 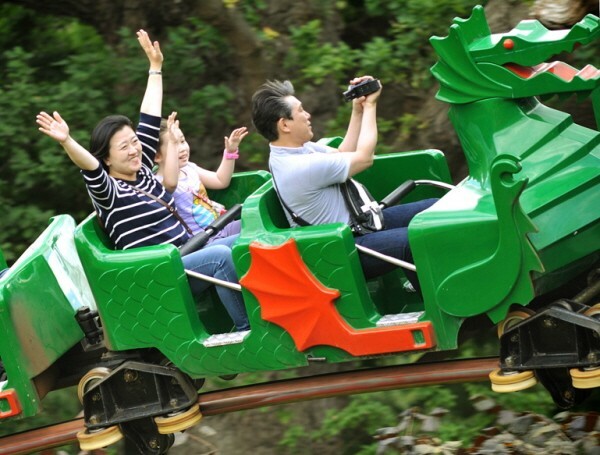 This entry was posted on Friday, March 1st, 2019 at 11:09 am	and is filed under Legoland Windsor. You can follow any responses to this entry through the RSS 2.0 feed. You can skip to the end and leave a response. Pinging is currently not allowed. I was told that I could download pictures by the photo desk operative, Digipass was not even mentioned. How do you people sleep at night?? A guide to deals & discounts currently available at LEGOLAND Windsor. LEGOLAND Windsor 2017; What’s New? Look out for the NEW NINJAGO land coming to LEGOLAND Windsor in 2017.